The USA has become the country with the greatest FCBEscola presence after the inauguaration this week of four new venues in Austin (Texas), Chicago (Illinois), Northern Virginia (Virginia) and San Diego (California). As a result, the number of schools in the country has tripled from two (Florida and Charlotte have been open since last season) to the current six. The Club’s expansion programme on the North American continent continues with a total of 11 schools given the five already in operation in Canada in Edmonton, Montreal, Ottawa, Toronto and Vancouver. Let’s not forget also the two Barça Academies on US soil in Long Island and Arizona. 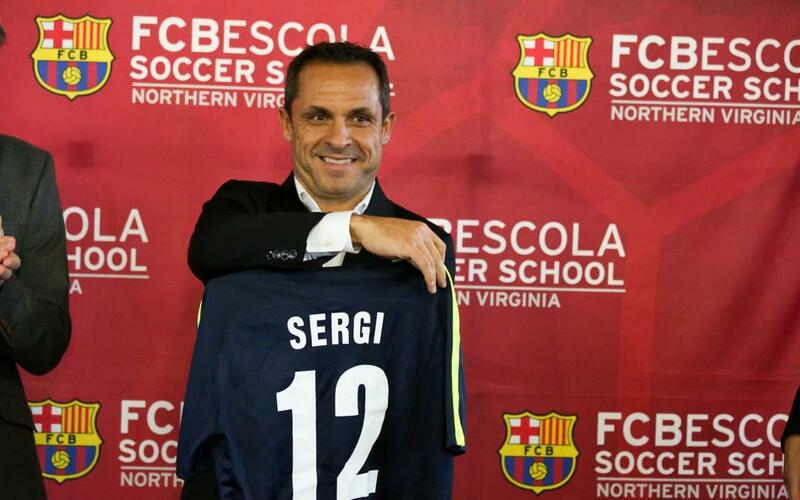 The inauguration of the FCBEscola in Northern Virginia was attended by former FC Barcelona player and now Barça Legend Sergi Barjuan who received an FCBEscola shirt with his name on from the students at the school. In Austin the school began their season at their base at the Circuit of the Americas which is used for Moto GP and Formula 1. In Chicago the students put on a display at the Schaumburg Olympic Park. The day saw a series of 3x3 games and the trophies had the names of the players from the women’s team. The ceremony’s final moments coincided with the beginning of the Barça-Espanyol game which the students were able to enjoy on a big screen. In the city and in San Diego the opening was marked by the presentation of a FCBEscola shirt to Bob Turner, one of the masterminds behind the development of youth football in the area of Southern California.